One of my favorite things about living in Northwest Colorado in the summertime is the hiking! My husband and I absolutely love trekking through the forests, thick with beautiful pine trees and glistening aspen. We walk through meadows of God’s amazing palette of colorful wildflowers and forge cold, clear streams on our way to our final destination. Hiking in the majestic Rocky Mountains means the end of the trail offers a big payoff! It’s what’s at the end of the trail that makes long, arduous hikes worth every step! From atop our perch, we feast our eyes on fabulous views of the mountain range that stretches further than the eye can see. And we marvel at the beautiful views of the surrounding trout filled lakes and rivers. It is truly amazing! Rather than navigate the long hikes on our own, we use the guide-book, “Hiking the ‘Boat” by Diane White-Crane. Diane has detailed 108 hiking trails in and around the area of Steamboat Springs. If you are hiking in this area, it is a must have! Getting lost in the wilderness isn’t anything to scoff at. While hiking is great fun, it is also serious business. It requires knowledge, proper supplies, patience, endurance and an accurate map. Diane’s book has served us well time and time again, so we have learned to trust the words on each page to keep us safe and on track. The same holds true for the Holy Bible. It is a tried and true roadmap for our lives. God’s timeless and infallible Word points us to our final destination and gives us detailed guidelines to get there. 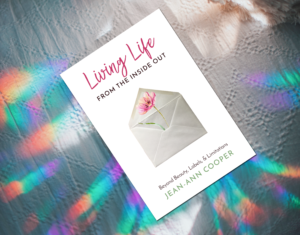 While life on this earth can be entertaining and full of great joy, we need help navigating the confusing forks in the road and the frightening hairpin turns that are inevitable for all of us. That’s where God’s Word comes in. What good would it serve to keep “Hiking the ‘Boat” in my backpack and never refer to it? Oh sure, I might get to my destination on this hike, but what about the next one or the next or the next? The same holds true for the Bible. Whether the days ahead for you are like a lovely walk in the forest or more difficult that you could have ever imagined, God’s Word will light your way if you just let it. He wants us to experience all the joy that life can bring and promises that when times get rough, He will always be there for us. All He asks of us is that we put our faith, hope and trust in Him. 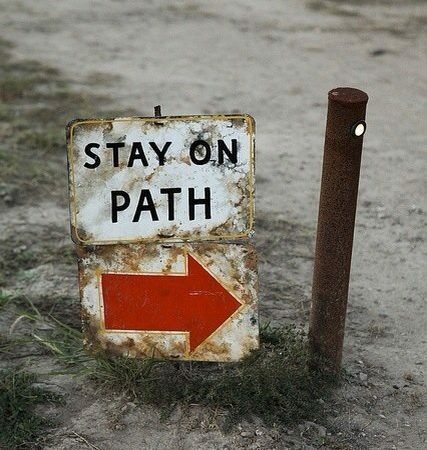 The path of life is uncertain. Only God can show us the way home. He gave us each the perfect guide-book. It is full of unending love, unmerited grace and a detailed roadmap to the biggest payoff this life can offer. All things considered, does it make any sense at all to leave your Bible on the shelf? The Word of God is a light for the way and path for my feet! Thanks, Jean-Ann. Enjoy CO! Thanks Jo! Kiss that new grandbaby for me! So absolutely true. Never do I feel more lost than when my bible is closed for too long.